through product engineering, venture capital and intelligent design. Our goal is to make a difference at every level of a dealership and ultimately help them sell more cars..
Mark McCollum is an innovative, senior-level Executive with 35 years of automotive retail management and dealership operations experience. Over his career he has owned or partnered in 7 automotive dealerships and has participated in 11 buy/sell agreements. A serial entrepreneur, he has partnered and advised in many other businesses including multiple restaurants, helicopter aviation, real estate holdings and entertainment. Mark’s expertise in automotive retail includes direct leadership of retail management and operations, profit and loss responsibility and financial analysis including multi-state oversight of dealerships. He retired in June 2017 from AutoNation, the largest automotive retailer in the US as Market President for Arizona and later Texas where he oversaw as many as 22 franchises under 18 rooftops with revenues in excess of $1.5 billion. He knows the issues, opportunities and challenges that face automotive retailers today. This first hand experience led Mark to pursue software development as a founder/co-founder/advisor in companies such as Golfradar, Play and Win Sports, PACE and now AiQware. 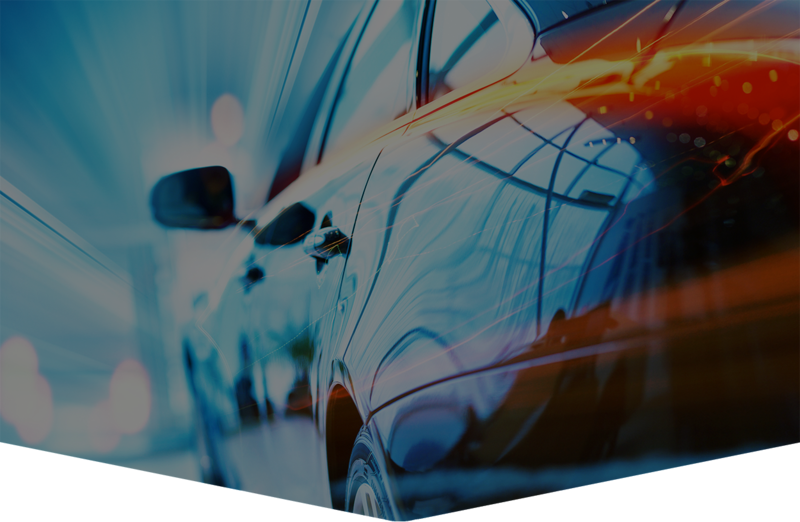 AiQ, as it’s commonly known, is dedicated to the incubation and development of software technology companies and new products for the highly competitive automotive retail space through product engineering and intelligent design. AiQ’s goal is to make a difference at every level of a dealership and ultimately help them sell more cars. In addition to these software ventures, over the past 12 years Mark has secured ownership in companies spanning multiple industries including a 14 rooftop restaurant group in California consisting of 4 concepts, a helicopter aviation business in Austin, TX and various real estate holdings in the U.S. He sits on the Board of Directors for Play and Win Sports, Onsite Dealer Solutions, and PLLC and serves as an advisor to Opa! & Hero Adams Restaurant Groups and Colleen’s Dream Foundation. His past board seat affiliations were with the Houston Chevrolet Dealers, D.C., BMW Advertising Board and Automotive Resource Network (ARN). An avid mentor and inspirational speaker, Mark enjoys working with young people and entrepreneurs on special projects. He travels nationwide for business and pleasure and enjoys incorporating motivational speeches about leadership, communications and operational efficiencies. Mark attended Texas A&M University and Lon Morris College where he studied business finance. Passionate about sports and fitness, he played college basketball and continues to compete in golf, tennis and basketball. He also recently began helicopter pilot training. He and his wife, Meredith, reside in Austin, TX. 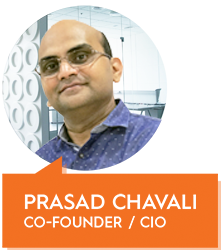 With over 22 years of experience in software design and development, Prasad Chavali spent much his time contributing to numerous start-ups while growing his own team of over 125 developers in India. 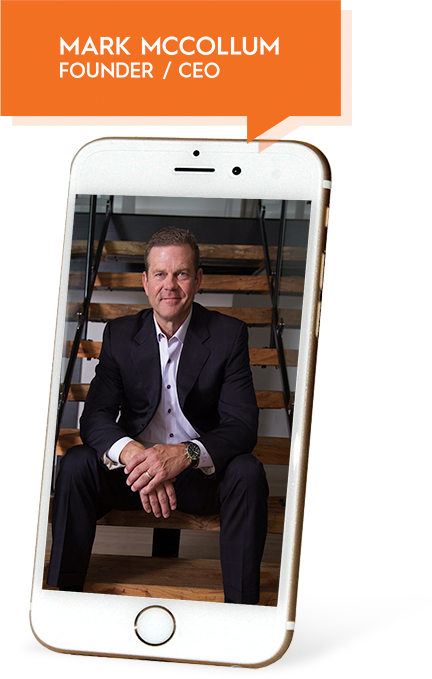 He graduated with a Master of Information System degree from Arizona State University in 1995 before starting his career as a software developer at a local contracting company in Phoenix. In 1997 he was recruited by Motorola as a Senior Software Engineer and in that position, toured over 8 different countries installing and training teams in Quality Management software. After partnering for a period of time in an Asset Management software company, Prasad ventured out on his own. Having experienced the .com boom and bust, post 9/11 economic pressures and eventually the 2008 market crash, he not only survived but flourished, by offering unique solutions for enterprise level software. Mr. Chavali’s off-shore development team that began with just two team members in 1999, has now grown to include offices in Hyderabad and Rajahmundry with a combined staff of 125, 40 of which are solely dedicated to Automotive IntelliQence projects. Other current ventures include proprietary solutions for Find Your Influence, Play and Win Sports, Onsite Dealer Solutions and clearVRtech. With his extensive experience and training, Prasad has created a solid foundation for the build and delivery of complex platforms for the automotive industry. He regularly commutes to and from his offices in India and countless visits to automotive retailers and related shows around the US. A graduate of Sheridan College in Marketing & Design, Chris Tivey spent the first 25 years of his career as a Creative Director, founding 3 successful firms: Ideation (Vancouver, Toronto), The Hathaway Group and Envisioning & Storytelling - executing successful campaigns for clients such as General Motors, Estee Lauder Cosmetics, Kraft General Foods, Air Canada and The Calgary Olympic Development Committee, to name a few. In 1995, his focus turned primarily to resort development projects, working closely with Intrawest Corporation before assuming the role of VP Marketing and then President of Star Resort Group in Scottsdale, AZ. During this time, Chris was a active member of the Urban Land Institute and ARDA (American Resort Development Association). He currently sits on the Board of Directors for Lakewoods Resort Developments, Inc., a 1,500 acre lakefront community in the Madawaska Highlands of Ontario. In 2007, Chris founded Gravity Destination Properties, Inc. where he negotiated a global license with the PGA TOUR for a member’s private and corporate experience leisure club (THE PGA TOUR CLUB). 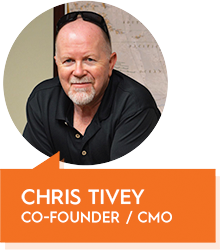 In 2010 he sold the business to Club Holdings, LLC in Denver CO. During this time, Chris met and began collaborating with Prasad Chavali on the development of numerous software platforms. Together they developed and co-own Play and Win Sports, a fantasy golf platform. 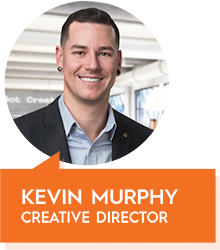 In close collaboration with Creative Director Kevin Murphy, Chris has been passionate in the creation of the unique and intuitive user experience for AiQware. Kevin Murphy brings his extensive experience and knowledge of web and app design to the Automotive IntelliQence team. In every aspect of our projects he has carefully crafted the user experience to meet the specific needs of the automotive retail industry. As a Graphic Design graduate of Fanshawe College in London, Ontario, he has honed his creative skills while providing successful solutions for small and large companies. Prior to joining Automotive IntelliQence, he operated his own busy consultancy for 14 years, wearing all the hats associated with the hectic world of digital design. Kevin makes Vancouver, British Columbia his current home while commuting regularly to the company offices in Arizona and Texas. When not buried in the tens of thousands of layers of Photoshop files that comprise the unique user experiences of AiQware and other related applications, Kevin is an avid golfer, hockey player and also enjoys snowboarding, surfing and mountain biking. 4029 S Capital of Texas Hwy. Consistent with the Federal Children’s Online Privacy Protection Act of 1998, we will not knowingly request personally identifiable information from any child. No one under the age of 18 should submit any personal information to us. If we discover that we have collected personal information from a person under 18, we will delete that information immediately. 1) By registering with this website, this signifies your consent for us to gather and use personal information about you, such as your name, company name, email address, billing address including IP addresses and/or click-stream data. An IP address is a number associated with the service through which you access the Internet, like your ISP (Internet service provider), your company, or your university. Standing alone, your IP address is not personally identifiable. Click-stream data is information collected by our computers when you request pages from the website. Click-stream data may include such information as the page served, the time, the source of the request, type of browser making the request, the preceding page view and other such non-personal information. When analyzed, this data helps us understand how visitors arrive at the website, what type of content is most popular, what type of visitors in the aggregate are interested in particular kinds of content and advertising, and the like. 1) Visitors will not be asked for credit card information unless they agree to a purchase of an AiQware service or product and have accepted the associated Terms and Conditions, however, no such service or product is currently available through the website. 2) We use collected information for the following general purposes: products and services provision, identification and authentication, services improvement, contact, advertising and research. Certain applications within the Website may invoke a standard feature found in browser software, called a "cookie" which is a small file containing a unique identification number that a website sends to your computer's web browser. When you visit this Website, a cookie may be used to track your activities in order to provide you with a more consistent and efficient experience. We use third party vendors and hosting partners to provide the necessary hardware, software, networking, storage, and related technology required to provide our services and applications. Although AiQware owns the code, databases, and all rights to our applications, you retain all rights to your data. The Website is intended as a general audience website. On the Website, we do not knowingly collect any personal information from children under the age of eighteen. If a person identifies as a child, we will do our best to obtain necessary parental consent before allowing the child access. The Internet offers children wonderful educational and entertainment resources. Your guidance and involvement are essential to help ensure that children have a safe and rewarding online experience. We encourage you to visit the Direct Marketing Association's website at: http://www.the-dma.org and explore the Get CyberSavvy! Program as well as the GetNetWise website at: http://www.getnetwise.org to learn more about parental control tools. AiQware/Automotive IntelliQence may periodically update this policy. We will notify you about significant changes in the way we treat personal information by sending a notice to the primary email address specified in your contact information if it has been provided through the Website. 1. This website is for information purposes only. The information available through the website is the property of AiQware, LLC and Automotive IntelliQence, LLC, it's affiliates, partners, or its licensors, and is protected by copyright, trademark, and other intellectual property laws. Information received through this website may be displayed, reformatted, and printed for your personal, non-commercial use only. No information, materials, images, or data contained herein may otherwise be reproduced by any User, except in compliance with applicable copyright laws. 2. User agrees that he/she will not, in any way, modify, move, add to, delete or otherwise tamper with the information contained in this website, nor will he/she de-compile, reverse engineer, disassemble or unlawfully use or reduce any of the software, copyrighted or trademarked material, trade secrets, or other proprietary information contained in the cdkglobal.com website. 3. Although we monitor the information in this website, some of the information may be supplied by independent third parties. While we make every effort to insure the accuracy of all information at this website, we make no warranty as to the accuracy of any such information. 4. AiQware and Automotive IntelliQence are registered trademarks of AiQware, LLC and Automotive IntelliQence, LLC. 5. This website may at times contain links that will let you access other websites. These sites are not under the control of AiQware, LLC or Automotive IntelliQence, LLC. The links are only provided as a convenience and we do not endorse any of these sites. CDK assumes no responsibility or liability for any material that may reside in any other website accessed through our Website(s), nor does AiQware, LLC or Automotive IntelliQence, LLC make any representation regarding the quality of any product or service contained at any such site. 6. AiQware, LLC or Automotive IntelliQence, LLC assumes no liability for the use by any party of any information provided by the User in using our Website(s). 7. Information provided on this website are provided "as is" without warranty of any kind, either express or implied, including without limitation warranties of merchantability, fitness for a particular purpose, and non-infringement. We use reasonable efforts to include accurate and up-to-date information on this website; it does not, however, make any warranties or representations as to its accuracy or completeness. We periodically adds, changes, improves, or updates the information and documents on this website without notice. We assume no liability or responsibility for any errors or omissions in the content of our website. Your use of this website is at your own risk. UNDER NO CIRCUMSTANCES SHALL AIQWARE, LLC OR AUTOMOTIVE INTELLIQENCE, LLC BE LIABLE FOR ANY DAMAGES TO USER, INCLUDING ANY INCIDENTAL, SPECIAL OR CONSEQUENTIAL DAMAGES THAT RESULT FROM USER'S USE OF THIS WEBSITE EVEN IF WE WERE ADVISED OF THE POSSIBILITY OF SUCH DAMAGES. 8. These terms and conditions shall be governed and construed in accordance with the laws of the state of Texas, USA, as they apply to agreements made and solely performed therein. User agrees that any and all proceedings relating to this site and the subject matter contained herein shall be maintained in the courts of the state of Texas or the federal district courts sitting in Texas, which courts shall have exclusive jurisdiction for such purpose.